For six years beginning in 2004, Alliance Truck and Tank owner Mike Svoboda and partner Jerry Klaudt marketed propane safety training classes and resource materials under the name of Technical Processing Inc. (TPI). During that time, TPI educated hundreds of retail propane professionals on a broad range of propane safety topics. Today, TPI is no longer offering propane safety training classes, but Mike and Jerry would like to share the class materials with anyone who may benefit. Your Propane Safety Meeting installments are provided below. You may view, print, save, make copies, or use them for your own training sessions. All are free – we just ask that you put them to good use. The Fire Safety Analysis Manual for LP-Gas Storage Facilities was developed by the National Fire Protection Association and National Propane Gas Association. The Fire Safety Analysis (FSA) is a self-conducted audit of the safety features of a propane installation and an assessment of the means to minimize the potential for inadvertent propane releases from storage containers and during transfer operations. The assessment also includes an evaluation of the capabilities of local emergency response agencies as well an analysis of potential hazard exposures from the installation to the neighborhood and from the surrounding to the LP-Gas facility. Since 1976, NFPA 58, Liquefied Petroleum Gas Code has required that a facility operator or owner conduct a FSA for propane facilities having ASME containers of aggregate storage greater than 4,000 gallons water capacity. Also, the 2001 edition of the code requires a written document for new installations and for existing installations within three years of the effective date of the code as determined by the state or local jurisdiction. The Propane Education & Research Council (PERC) is a check-off program established, operated, and funded by the propane industry. The only energy council of its kind, PERC leads safety and training efforts among propane retailers and consumers and drives technology development to expand adoption of propane as a clean, domestic, and affordable energy source. The Propane Marketer Resource Catalog (Propane MaRC) is an online collection of materials developed by the PERC for use by the propane industry. This online catalog provides downloadable safety, and research and development materials, as well as items available for purchase. The Propane MaRC serves as an industry tool to acquire all PERC produced materials in one place. Energy Gumbo is an informative blog from Roy Willis, CEO of PERC. Topics discussed include emerging technologies, energy supply, propane industry events, propane safety, sustainability, and more. 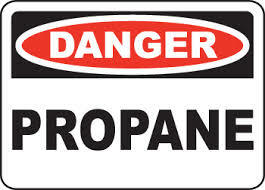 Propane safety begins with better understanding. With that thought in mind, Propane 101 is a site designed by propane dealers with one simple goal…to educate consumers about propane so that they may better understand this valuable and efficient fuel as well as promote a more effective relationship between gas customers and their suppliers.